Learn how to read the Grand Jeu Lenormand. 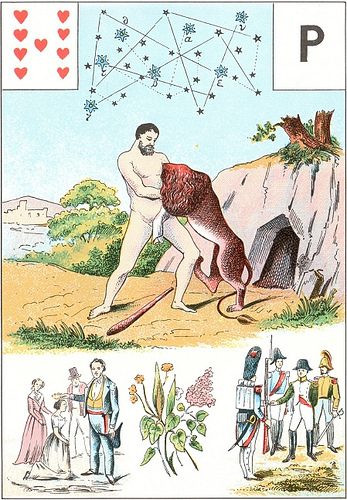 The guide teaches you the history of the Grand Jeu Lenormand and how to use it today. Before you start, if you don’t have your own copy of the Grand Jeu yet, Jeannette and Dan from tarotgarden.com have copies of the Astro Mythological Lenormand for sale. Given the Grand Jeu’s complexity, I also highly recommend you keep some notes! So, make sure you have your favorite diary or some pens and paper ready…!